New Zealand wildlife isn’t well known overseas but there are a wide variety of animals to see. The animal life that you can find in the North and South islands is quite different so if you’re a big nature lover we recommend exploring them both. There are a few options for spotting our beloved kiwis in the wild, which is, of course, something you can only do in New Zealand as the kiwi is an endemic bird. Our favourites include a tour of Tawharanui Regional Park near Auckland or on Kapiti Island near Wellington. Then there are gannets. 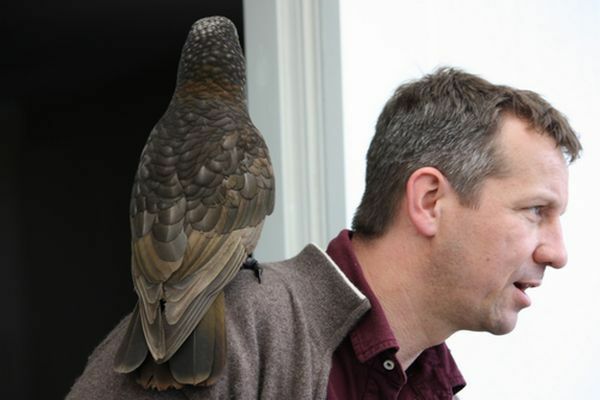 The biggest colony of these birds in the country is at the Cape Kidnapper’s in Hawke’s Bay, but if you’re short on time, a trip to Muriwai near Auckland is also a good option. Miranda near the Coromandel Peninsula is another favourite spot for bird watchers. When it comes to marine wildlife, you have a good chance of seeing dolphins and whales on a half day cruise from Auckland in the Hauraki Gulf which is easy to fit into any itinerary. Lastly, to the east of Wellington is Cape Palliser, we always thoroughly enjoy watching fur seals go about their business completely unbothered by humans in such an isolated location. The South Island is no doubt the ultimate pick for wildlife lovers heading to our shores. Kaikoura is most renowned for its opportunities for whale, seal, albatross and dolphin encounters and whale watching from a small plane is an especially unique option to try. Further south, Banks Peninsula is still our favourite wildlife destination. You can swim with the native Hector’s dolphins or kayak alongside them before watching little blue penguins make their way back to shore after a day out catching fish. What’s more, Akaroa is an absolutely charming little village to explore. Oamaru, on the east coast, is interesting firstly because of its high concentration of impressive Victorian architecture but also because it boasts the largest and best places to see blue penguins colony in the world. You can see them at dusk coming back from the sea and crossing roads to hide under buildings for the night - but make sure you don’t miss out choose the guided option. Oamaru is also the first place you’re likely to see another native species - the endangered yellow eyed penguin otherwise known as Hoiho. To guarantee to see these unique creatures, head to the Otago Peninsula, off the coast of Dunedin. Depending on the season, the albatross colony at the far end is also worth visiting. Last but not least in the Far South you’ll reach the Catlins Coast where the wildlife is ever visible and other tourists much less so. Make the most of the wilderness and observe penguins, seals, dolphins, sea lions and sometimes even sea elephants in their natural habitat. So there you are, proof that while we may be lacking in land mammals of the native kind New Zealand Wildlife certainly doesn’t have to be too envious of other destinations.